Casa Sanz is an old farming house which the family has fully restored to make three apartments distributed around a patio. Each apartment is independent within the house. The house is surrounded by a garden of use exclusively by the guests. In this garden there are the following facilities: three BBQs (one for each apartment), summer terrace with tables and chairs, car park and garden. Next to this garden for the guests, the owners have the traditional vegetable garden. The Berges family lives on traditional activities of the mountain: sheep raising as well as producing and selling high-quality honey from the large variety of flowers of the Mediterranean flora of the Guara Mountain Chain. Appartement très agréable, extrêmement propre, décoré avec goût sans oublier la magnifique terrasse. Accueil chaleureux lors de notre arrivée et tout au long de notre séjour. David nous a conseillé sur les randonnées et villages à visiter. Nous reviendrons. "Superbe séjour, le logement est très propre et tout équipé. la piscine est vraiment superbe. le propriétaire est très chaleureux. Belles balades a faire, paysage magnifique, un dépaysement total. idéal pour des vacances reposantes." "nous avons vraiment profité de notre séjour qui s''est très bien passé. La région se prete à des superbes randonnées au départ de l''appartement vers des canyons dans lesquels passent des rivieres. c''etait très agréable de revenir se baigner dans la piscine du logement." "Des propriétaires formidables, toujours prêt à nous renseigner. Location très propre, rénovée avec beaucoup de soin. Cadre de vie exceptionnel. Si vous aimez le calme, la nature et un environnement traditionnel alors n''hésitez plus !!!" Asque is at only 6 km from Colungo. 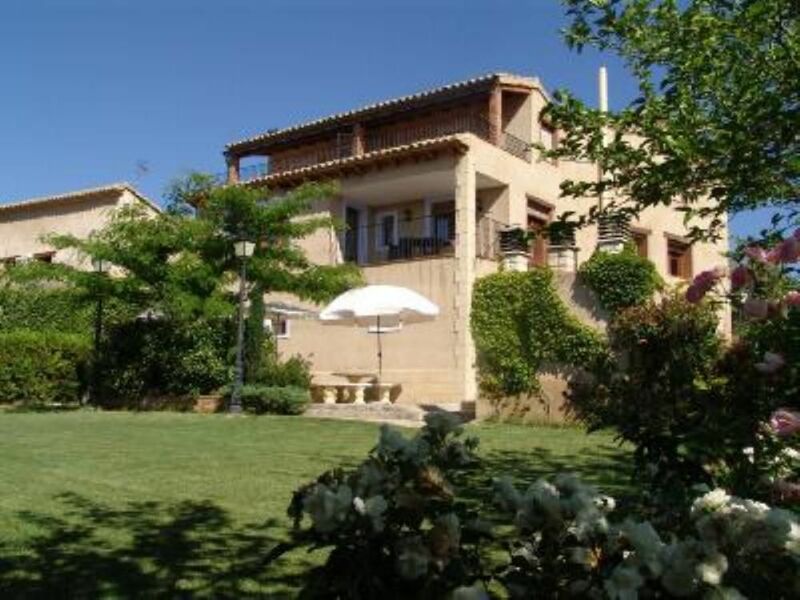 - To get here from Barcelona – Lérida: In Barbastro take the local road to Colungo and then to Asque. - To get here from Huesca, Zaragoza, Madrid; take the N-240, and before arriving in Barbastro, turn left at the km 181 towards Abiego and Adahuesca. Then go towards Colungo and Asque. - To get here from the north and from France, take the road from Ainsa or from Boltaña towards the Guara Mountain Chain passing by Arcusa. Distances From Asque to Huesca by Abiego 48 km. From Asque to Barbastro 30 Km. From Asque to Alquézar 12 Km. From Asque to Aínsa 45 Km. From Asque to Francia by Aínsa and Bielsa 90 Km. Resting in a soft and sunny slope, you will find the village of Asque overlooking the lands of the Somontano region. The houses of the village are distributed around the main street, showing white facades and earthy colours. Around 1885 the church of Asque was built. It was dedicated to “Santa Columba”, following the dictates of the neogothic style. Across the door you will find the main aisle with lateral chapels. Asque’s most famous product is the honey. It is purely natural and still a source of wealth for the village. Once in Asque, you could also visit the unique Guadamacil museum of contemporary art. It is an unknown and spectacular pictorial technique from the hispanoarabic culture. It disappeared in the XVIIth century but it was rediscovered again by 1989. It combines painting and relief over a surface of leather. For a long time, the only way to get to Colungo from Asque was across the Devil’s bridge. It is worth visiting it and its wonderful location in the precipice of Fornocal. The difficulty during its construction and the risk during the process made it popular among the inhabitants of both villages. Some local people would even say the Devil made it himself.